1 bedroom suites from $1,200. Approx 480 - 550 sq ft. 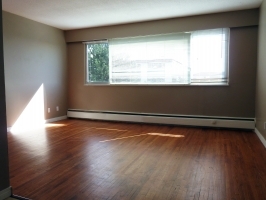 Neighborhood: Cameron 2 rental apartment building has easy access to: Hwy 1, Pattulo Bridge and Queensborough Bridge. Gorgeous panoramic view of the Fraser River, sky train line and Quay Market Place. Near Mercer Stadium, schools, colleges, parks and night life. Walking distances to Royal City Shopping Centre and Colombia Square Plaza.